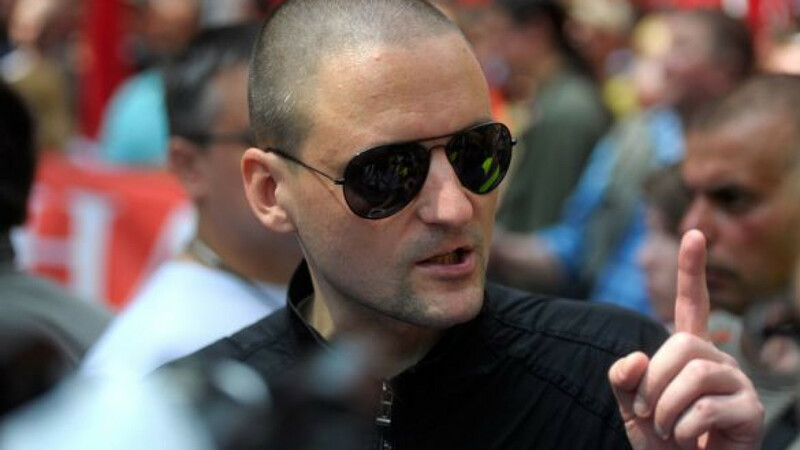 Left Front leader Udaltsov has been in and out of jail on short-term administrative offenses relating to unsanctioned protests over the past year. Left Front leader Sergei Udaltsov is seeking 10 million rubles ($304,000) in compensation from the state after the Supreme Court ruled that he was illegally arrested in December, the opposition firebrand said Wednesday. "This means that I didn't fast in vain. Now I will seek compensation from the government for moral damages — 1 million rubles for every 24 hours in jail," Udaltsov wrote on social-networking site Twitter. He also thanked lawyers Violetta Volkova and Nikolai Polozov for their efforts in arguing his case. The Supreme Court's judgment overrules a Dec. 10 verdict by Moscow's Zyuzinsky District Court sentencing Udaltsov to 15 days' administrative arrest for not returning to jail after he was hospitalized while serving a separate administrative sentence in October. Shortly after the Dec. 10 verdict, Udaltsov went on hunger strike and, after falling ill, was hospitalized once more in critical condition.